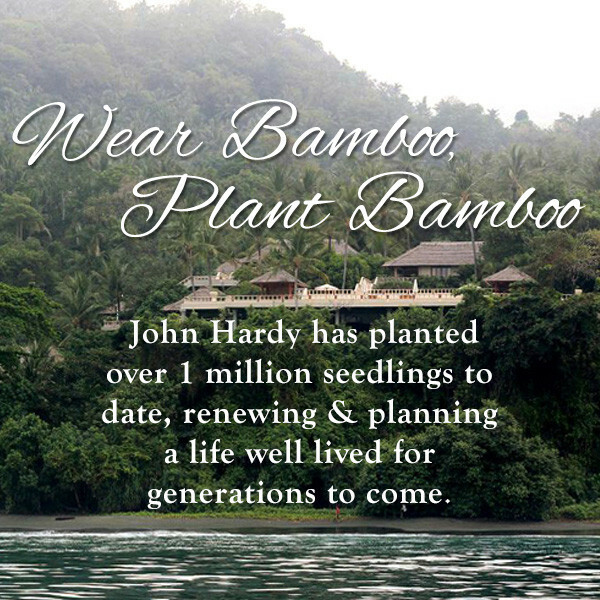 The organic nature of this John Hardy bracelet from the Bamboo collection makes it a fantastic piece. The slim flexible bangle is designed to look like bamboo by taking small sterling silver sections that have the curves and knots of bamboo plants and joining them together in a beautiful circular fashion. 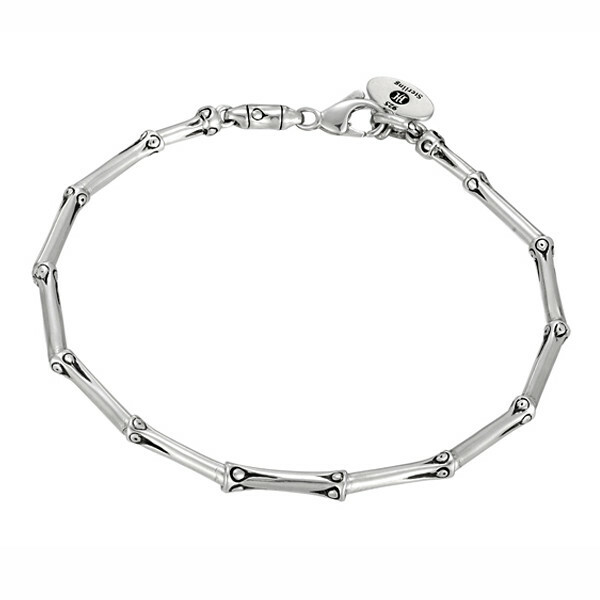 Crafted to keep this piece comfortably in place, a lobster clasp secured the bracelet on your wrist. Let John Hardy bring you back to basics in a chic way with this pristine treasure.